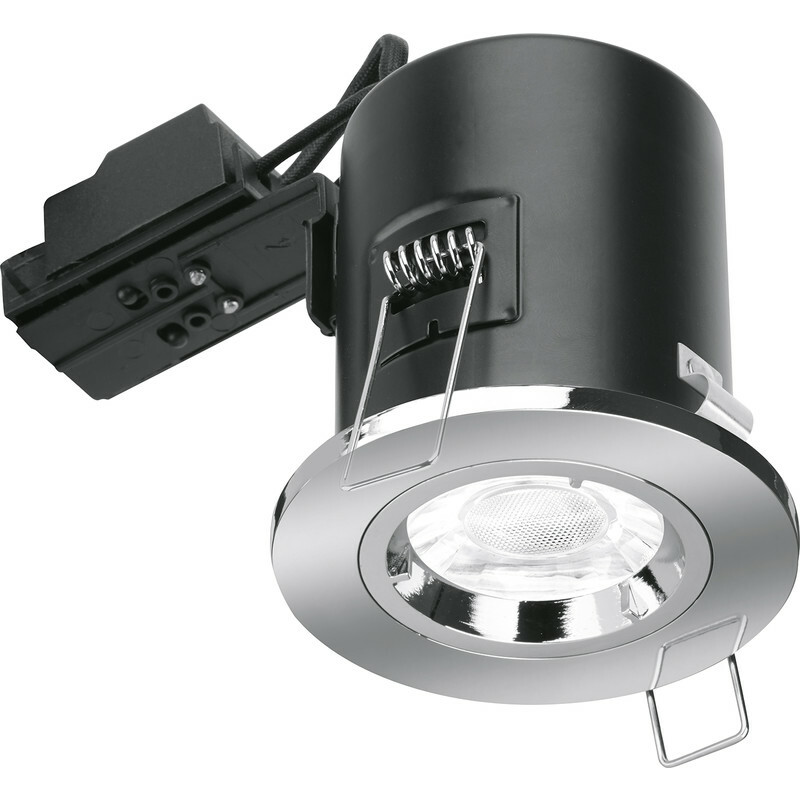 Enlite Fixed Fire Rated GU10 Downlight EN-FD101PC Chrome is rated 4.6 out of 5 by 30. Rated 5 out of 5 by Bugsie from Light of my kigchen Needed one more to match up. No problem with this strong safe light fitting. Rated 5 out of 5 by Mazz from Down lights Fantastic quality and very good price but don't forget to buy bulbs. Rated 5 out of 5 by PSjs from Excellent Quality Fitting The front bezel is very well polished and has a nice lamp install ring, both the ring and the fitting have silicone rubber seals. The electrical connection box has quality terminals while the wiring is robust with a good earth connection - basically excellent value. Rated 5 out of 5 by shuv from Good Replaced existing ceiling lights. Very straightforward. Rated 4 out of 5 by Mohd from Good overall I bought this a month ago and satisfied with performance. Rated 4 out of 5 by Chalky 51 from Very easy connections Bought these originaly for my hallway, but as not got round to stripping ceiling and having it replastered thought let’s replace old brass downlighters in bedroom so today took out old used a padsaw to widen hole and wired these in place very easy connections took no time at all only trouble was hence the 4 stars one wouldn’t work took out and rewired connection still no joy then twiddled about with bulb connector and it came on so managed to put back into ceiling and got it to work so hope as it won’t be moved that it doesn’t play up. Will now have to re-order more for hallway. Rated 5 out of 5 by BigBen78 from Fantastic GU10 downlights I’ve just installed these in my new bathroom and they look really expensive, So happy with them, you will be too! Also one came without a rubber seal, I called tool station and they had another whole until sent out within 24 hours. Cheers guys fantastic service.